OK, we’re now well into 2015, the hectic holiday fun is over and things are returning to normal. I enjoyed many great beers over the holidays but brewed little. But I have been up to some home-brewed fun. 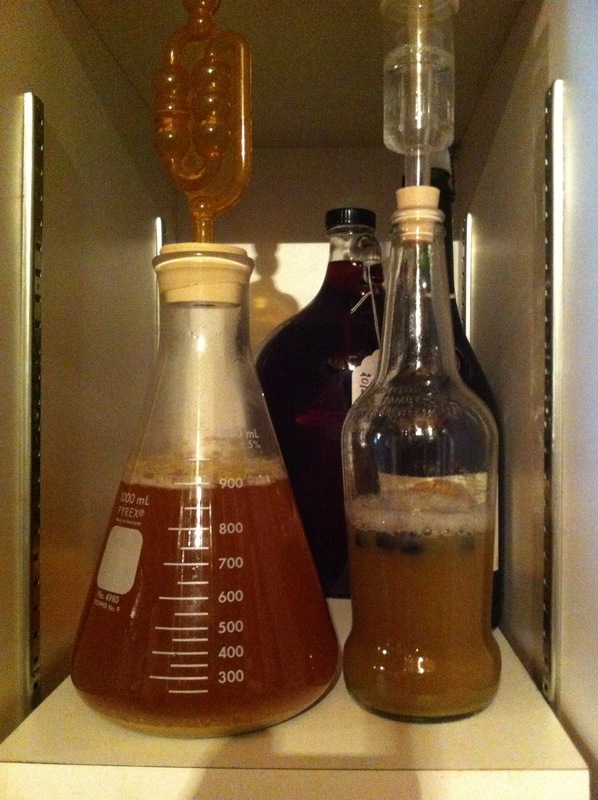 I’ve decided to start my own yeast bank; this probably makes me certifiably nuts. 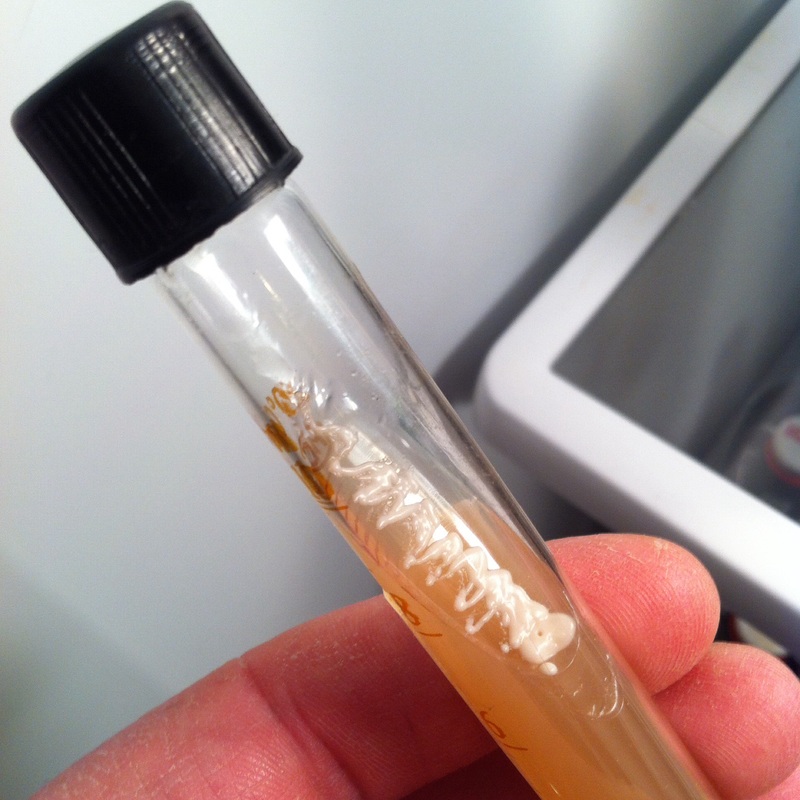 Living where I do I don’t have a local home brew shop that carries liquid yeasts, or even quality dry yeast. Though I do travel often enough to be able to get what supplies I need, I still find the selection of yeasts and other “bugs” for my beers lacking and I have to resort to making online orders. This isn’t just costly, but I also worry about the viability once it makes its way through the mail (although I haven’t had an issue…yet). I almost always make at least a small starter for my beers and make sure the yeast are happy and ready to go for brew day and I do my best to ensure that I’m pitching the right amount of yeast for the beer I’m brewing. I like to use and experiment with different strains and I figure with all this its just easier if I could always keep yeasts on hand, hence the Drink N Brew Yeast Bank. Full disclosure: I have no experience outside high-school biology and chemistry in working in a lab setting, and I have no education in microbiology whatsoever. I do own (and did read) Yeast by Jamil Zainasheff and Chris White and there are a lot of great websites and YouTube videos show how to work in a clean environment at home. So, I went to eBay and found some test tubes, petri dishes, sterilized inoculation loops, and agar power. I also added to my collection of flasks now ranging from 50mL up to 2000mL for culturing and got a pressure cooker (my autoclave stand-in). It looks like a mad scientist’s lair or maybe a meth lab in my basement. 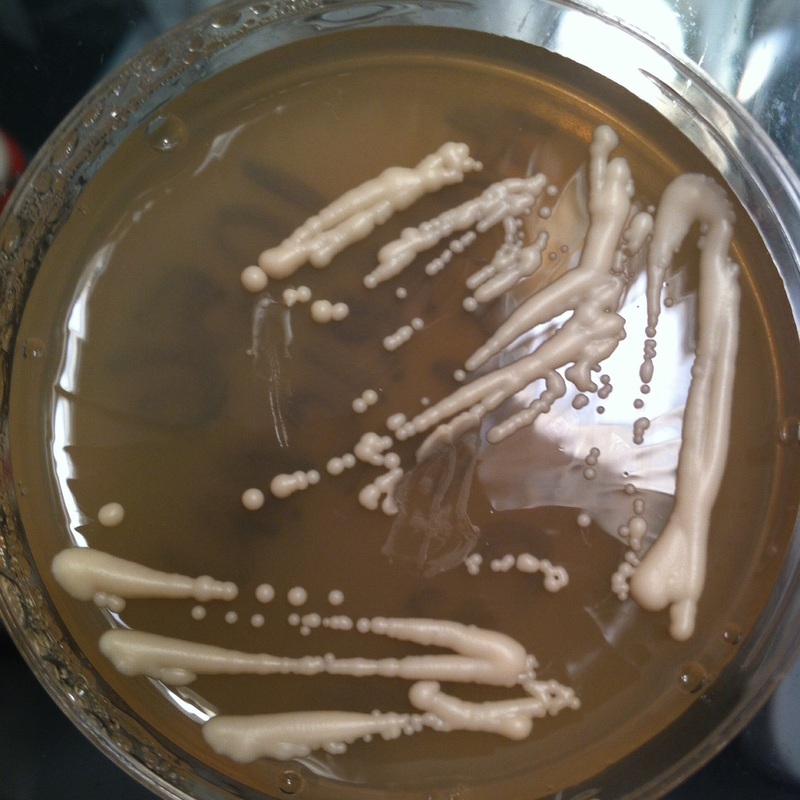 So, I made my self some plates and slants and then put some yeast on them from some pure yeast sources. I’ve now collected a couple of different strains of yeast, and have a few others along with some brett, pedio, and lacto cultures waiting for different upcoming brew days (I see a sour beer post in the future), all of which will make it to plates and slants for storage. My yeast bank is in its infancy now, but I’m on my way to having a good collection and a interesting side home brew project. I have just cultured up my first pitchable size of yeast from a plate (three little colonies from the plate to what I figure is about 300 billion cells) and right now all seems well. I’ll post an update on this when I have the results.